A freelance writer and academic, living in Brisbane. 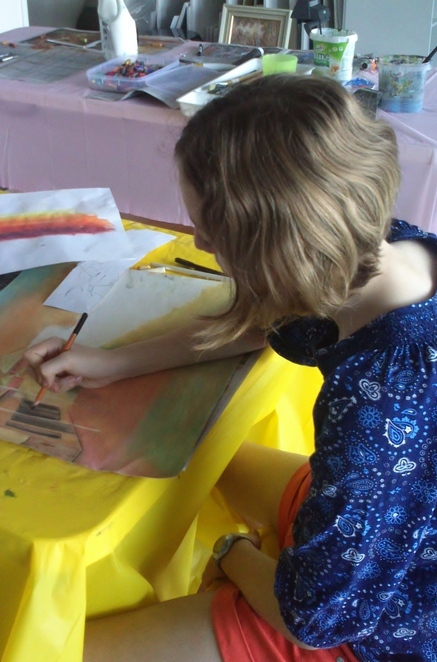 Art classes, for children at least, can often be prescriptive. That is, you turn up and paint or draw whatever the teacher dictates. Gap artworks is different. Kathy Sullivan, a high school art teacher in her day job, provides the studio, materials, equipment, guidance and instruction and you choose what you want to create. If you are struggling for inspiration, Kathy will help you out and gives you access to her art library and the internet on a laptop. 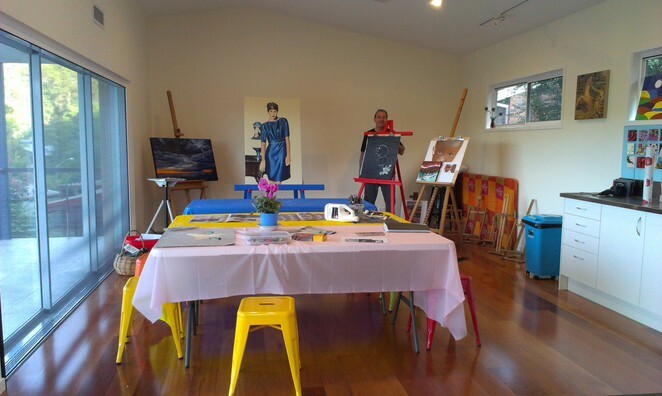 Kathy's purpose-built studio can be inspiring in itself. It is built at the top of her house and looks over the rooftops and hills of The Gap. Tables and easels are set out waiting for the budding artists. Canvases, paper and a range of supplies are on tap. Kathy specialises in painting and drawing but also offers guidance in mixed media. Her aim is to support and nurture the students' creativity and she does this in an open and friendly style. Kathy takes small groups of six and spreads her time and input across her students. Classes are $25 for one and a half hours on Friday afternoons and Saturday mornings for kids and Thursday evenings for adults. Refreshments are provided. Life-drawing classes are also offered every 6 weeks or so. 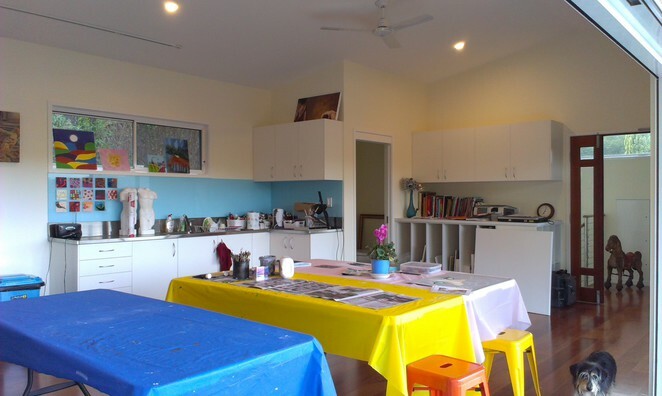 You can check out Kathy's blog to see examples of her and her students' work at gapartworks.blogspot.com.au.